On today’s show we have a terrific trainer and horseman Jonathan Field. I first met Jonathan at Horsemen’s Re-Union in Paso Robles last year. He was starting colts and one look at easy, smooth moves in the round pen and you knew he was relating to theses young horses. His story is quite inspirational. While a young man working in Canada, Jonathan suffered an industrial accident that nearly amputated his hand. He recovered and was drawn back into the world of horses. Yes, you could say he was truly inspired by horses. Jonathan has studied under some of the greats in the horse world including George Morris and Pat Parelli. 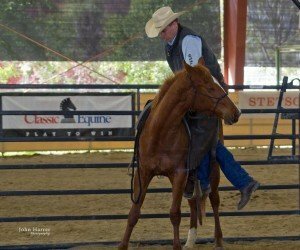 He has developed his own style and program of horsemanship he calls Inspired by Horses. 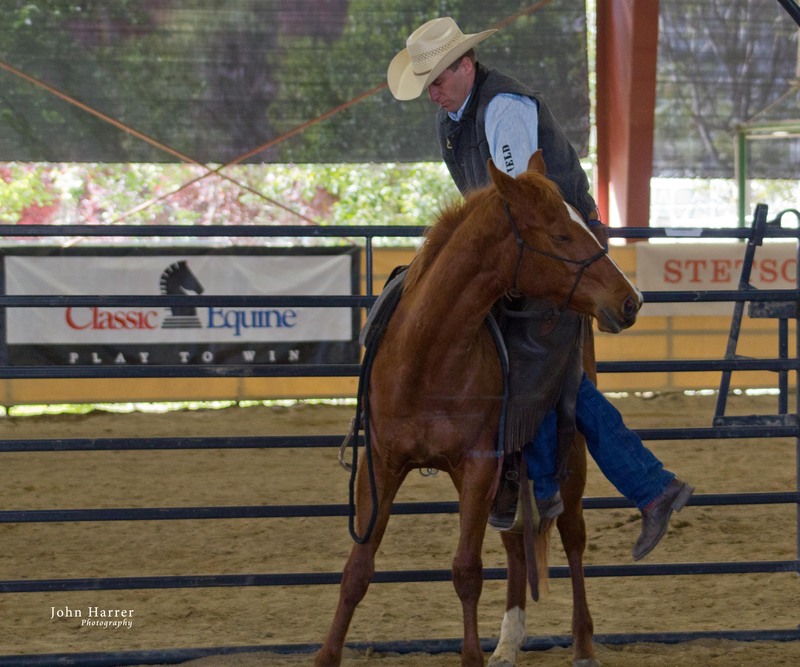 Jonathan has performed at Road to The Horse, has presented many times at Western States Horse Expo. He headlines at horse shows and expositions all across Canada including The Mane Event and even produces his own equine conference called Jonathan Field and Friends. Jonathan has used his Inspired by Horses philosophy to write a book, The Art of Liberty Training. And he has also produced The Foundation for Excellence JUMPING with George Morris. All this in addition to his own DVD training series. Today we talk about his life and how he got inspired by horses. We also talk about a few “real life” training issues I’m having. Jonathan offers some great advice and I am already seeing results! Welcome to the Whoa Podcast about Horses and Horsemanship. I am your host John Harrer. Along with my wife, Ranae, each week on the show we talk about some aspect of owning a horse. It could be feeding or supplementation. It could be bits and bridles, tack, or cowboy boots. We cover training problems, or competing in shows. We talk to farriers and horse chiropractors. And we travel to places we think you would like to take your horse. That’s what the Whoa Podcast is all about. We have well over 80 episodes up now and you can find them all for free on iTunes, with our Android App in the Amazon store, and now Stitcher, or wherever podcasts are distributed. Get the Stitcher app and let us know how it works. It’s Free. You can also find every episode and more about the show at whoapodcast.com. Please join our email list. Get in on the conversation with Facebook and Twitter – just look for WhoaPodcast. Great pod cast. Johnathon Field is a great teacher and great horseman and looking forward to going to his clinic in Calgary again. Really enjoyed the last one he had in Calgary in 2014.